Some startups want to make finding mental health resources more accessible than ever. From a text therapy platform to apps that push you reminders to breathe, these companies offer help in times of need or on a daily basis. 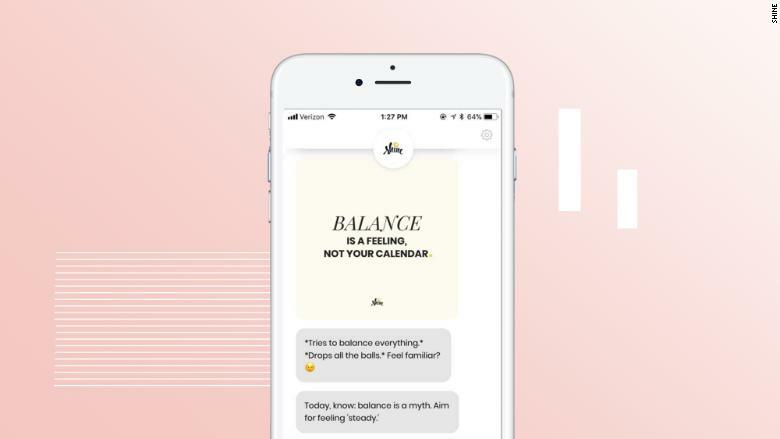 Shine offers free daily text message that aims to boost your self-esteem each weekday morning by sending inspirational quotes, actions to take, or research findings to help boost your confidence. More than 2 million people worldwide subscribe to its alerts. The alerts arrive via SMS, Facebook Messenger or messaging app Kik. For $4.99 a month, Shine iOS app users can get additional content, such as affirmations, meditations, and motivational stories from celebrities and influencers.